Social media has changed the way the media market works. Today’s communication is based on a two-way dialogue where everyone gets involved in creating content. How are deaths announced today and how will this happen in the future? 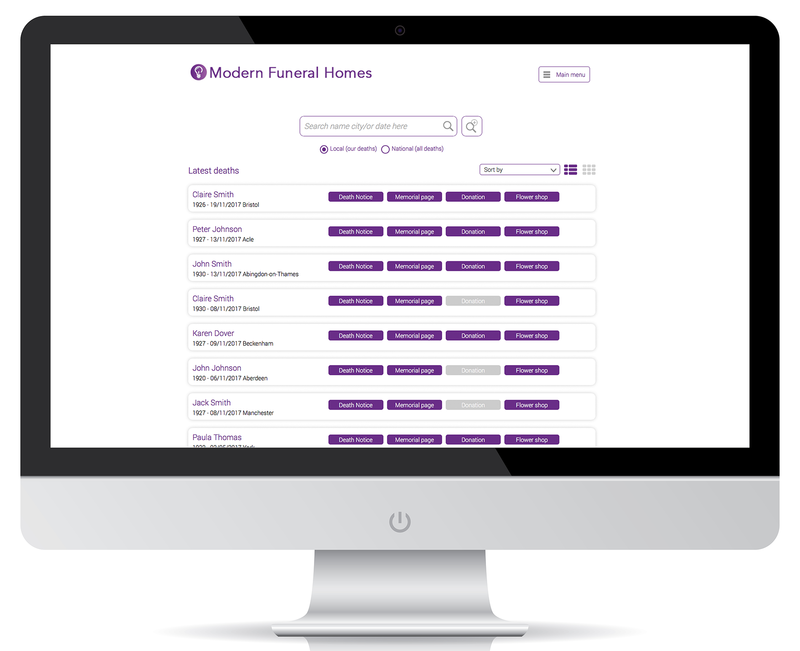 Do you want your own portal where you can publish your funeral home’s deaths? about the funeral, how to order flowers and how to give a memorial donation. Each funeral home has its own portal with its own, unique URL. It can be further personalised with the funeral home’s logo and brand colours. Increasingly, people are choosing to plan funerals online. 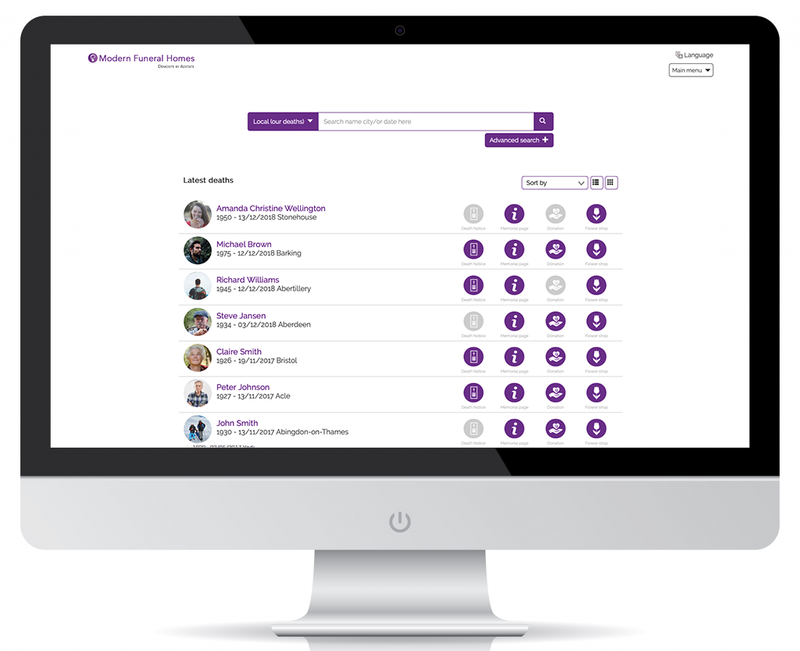 With Adstate’s online planner, visitors can prepare ahead of meeting with the funeral home. 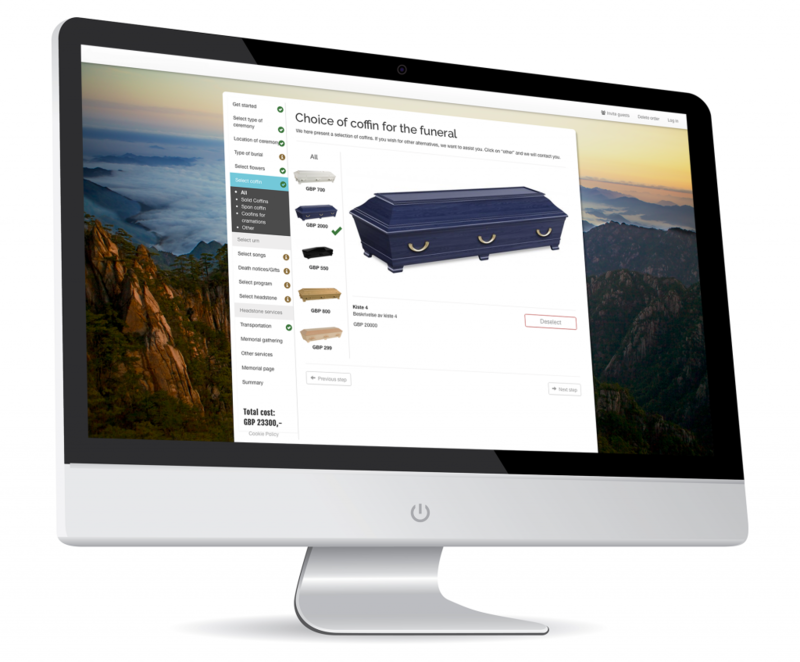 The online planner helps with every part of the funeral, from choosing the right coffin to selecting the music. This helps to reduce the time spent planning by the funeral home and improves the quality of the funerals. The funeral home portals and memorial pages receive millions of visitors a year. The traffic helps to generate income for the funeral homes. 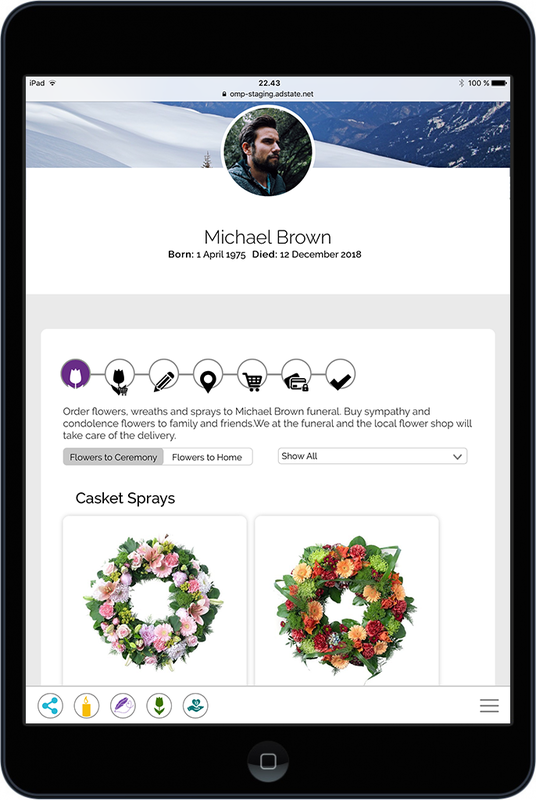 Our web-based flower shop solution offers an easy way to order flowers for the funeral or the homes of the next of kin. 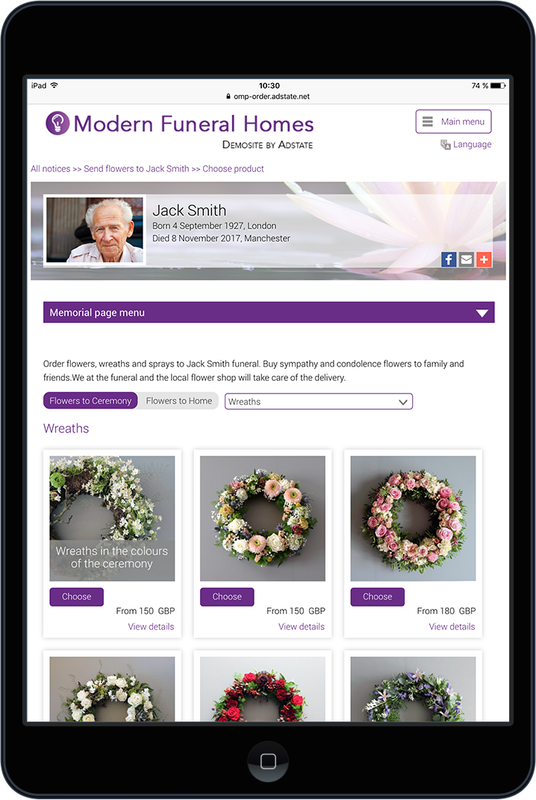 Each funeral home sets the price list as well as which trusted florist they want to use for managing the order and delivery. 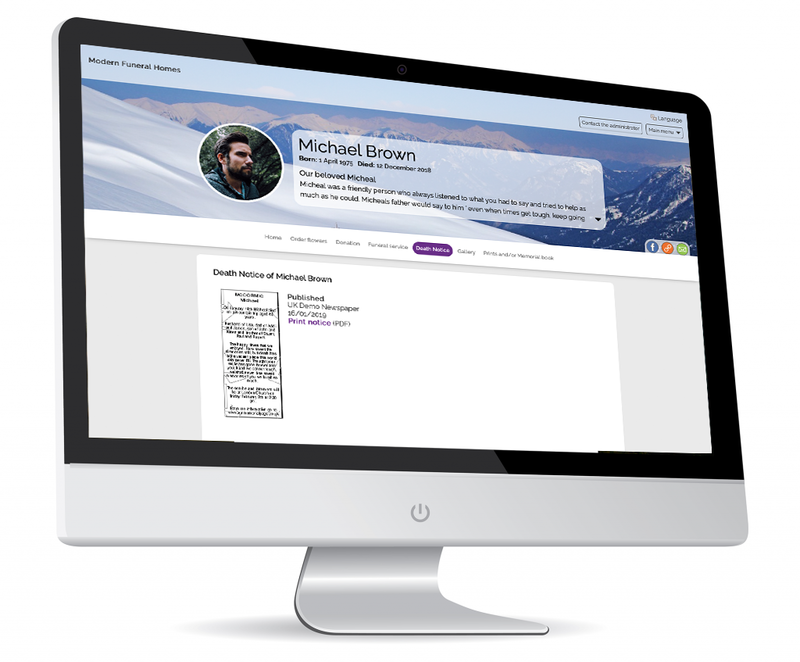 Each death will have its own page, a memorial page, where visitors can go to pay their respects by lighting a candle, writing a tribute or uploading a photo. The memorial pages link the funeral home with the visitors. The pages create a good opportunity to connect with potential customers. 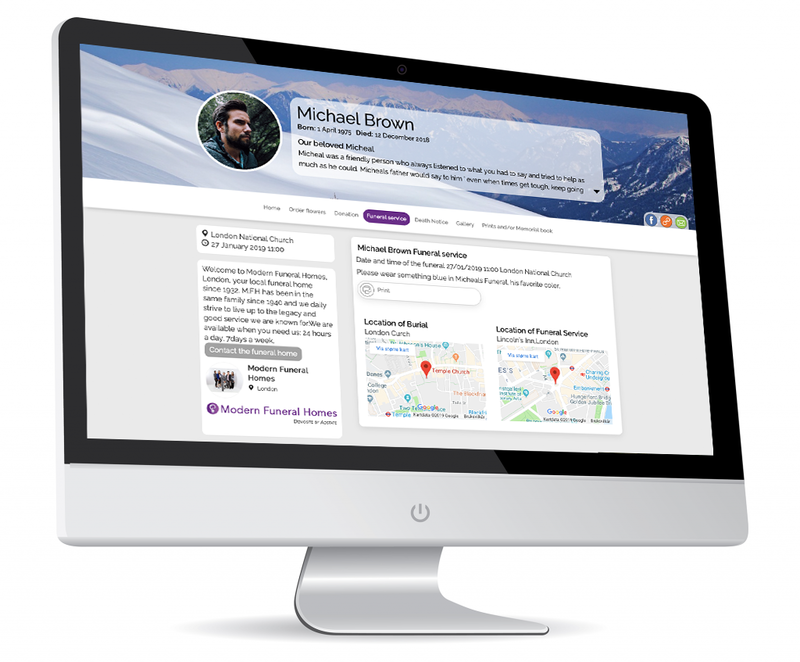 Information about the funeral itself and modules which further integrate into the funeral home’s business can also be found on the memorial pages. 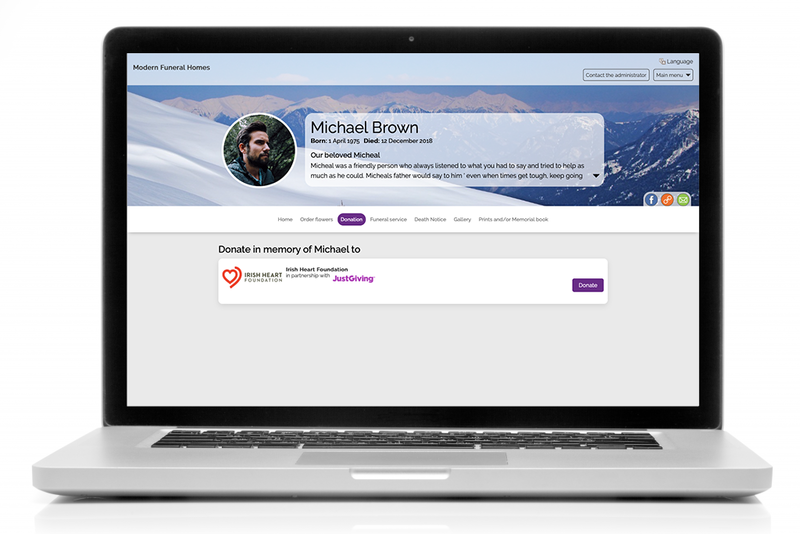 Our memorial gift module can easily be integrated and connected to individual deaths. User friendliness and security are ensured, while this service offers a lot of options and flexibility. The next of kin decide the setup of this section for the funeral they are arranging, together with the funeral home. When a death notice is published in the paper, it will also be published on the portal. From the death notice, visitors can click through to the flower shop, memorial page and memorial donation sections. Having worked with death notices for years, our solution is one of the safest, best and most secure on the market. 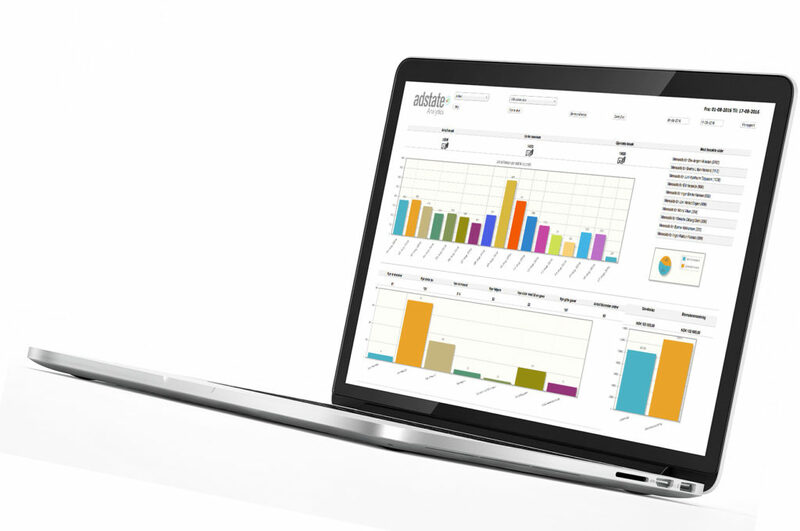 This is our analytics tool which provides real time information and statistics about how visitors are using your portal. Which pages have the most visitors? What are the visitor behaviours? Adstate Analytics helps answer these and many more questions. the online funeral services portal can do for your funeral home.